The Applicant Tracking Software for Inhouse Recruiters with a never ending recruiting pipeline. Recruitment software combining digital marketing, applicant tracking & screening tech to give HR teams full control of the hiring process, from creating & publishing a job advert to final placement. 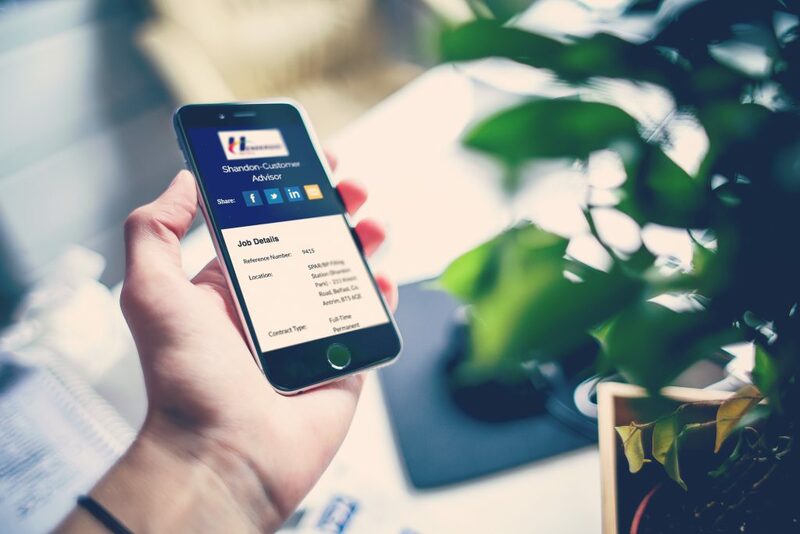 A live careers listing page linked directly to your ATS, branded to blend with your company website & mobile optimised will attract & engage applicants direct to your ATS. Custom recruitment funnels with instant insights on campaign performance. Automated screening & emails delivers efficient workflow, seamlessly moving applicants through your hire process. Promote your jobs across your social network including Twitter, LinkedIN, Google+ & Facebook. A Facebook Careers Tab keeps your ‘newsfeed’ clutter free..
Easy search CRM future hires. Tag applicants with key skills to allow for easy search & match when hiring for similar jobs in the future. Keep applicants warm with regular updates. Filter the great from the good & build a strong employee culture. Every hire is different, create customisable recruitment funnels for every vacancy or use saved templates over and over again. Launch instantly to your advertising network including traditional job board, social media, website, job agencies & employee referrals. Track all applications centrally, make better hiring decisions, faster. Customise recruitment funnels for every vacancy requisition with unique screening filters & automated rejection options. Launch instantly to your advertising network, including careers page & social networks. Track all applications centrally & collaborate with colleagues to make better decisions. Measure KPIs with our data driven analytics, making reporting easy. 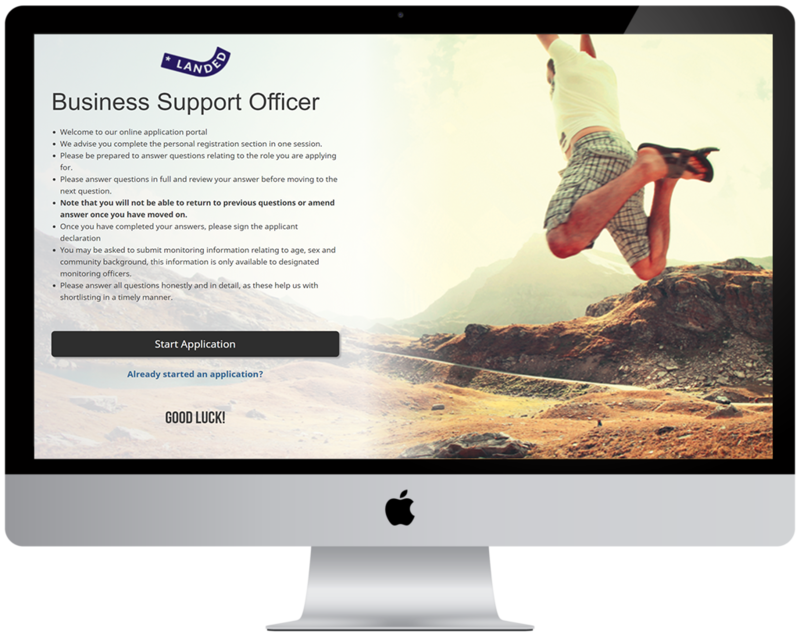 With 96% of job applicants searching for their next opportunity on some form of mobile device, having a mobile optimsed applicant portal is essential. LANDED instantly recognises the device being used by your applicant and presents them with the relevant format to access your applicant portal. Ensuring applicants never miss the opportunity to apply for your opportunity. Automated screening will save you valuable time. 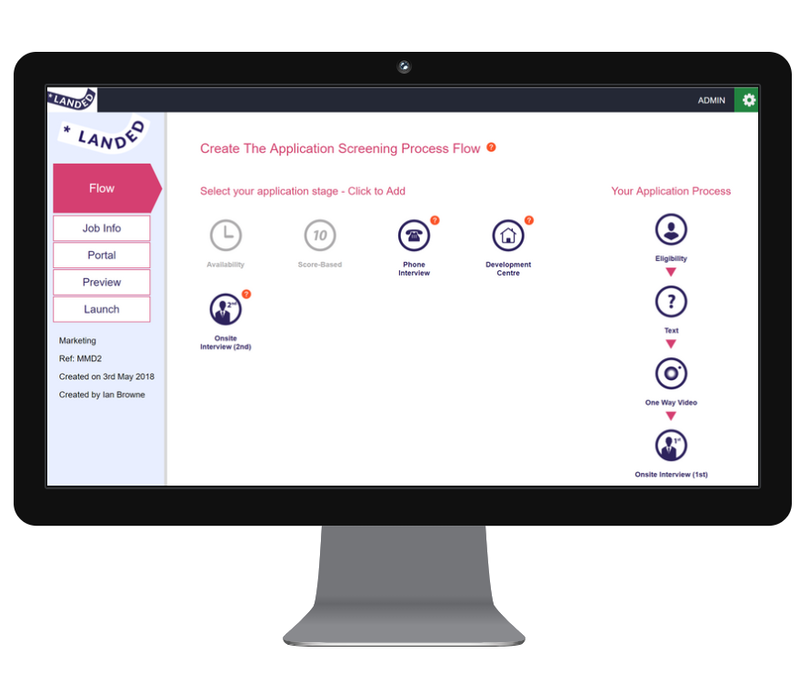 LANDED’s fully-customizable application portal can incorporate ‘killer questions’ set by you to eliminate unqualified applicant early in the process. Find out what you need to know, to LAND the best hire. Set bench marked assessments to measure skills, personality attributes, and more. Find employees who are a natural fit for your organisation! Video interviews are up to 6x faster than telephone interviews. Screen & rank applicant interviews, share videos with colleagues to make joint decisions & fast track top candidates through to interview. Build intuitive recruitment funnels, customised to every department, branch & vacancy. Score & rank applications, share decisions with colleagues. “LANDED understand the complexities involved in hiring people and have come up with a solution that has reduced our time to hire by 50% and freed up vital resources within our HR team. The easiest way to fully control your hiring process online. Get started today with our 14-day free trial. Join our mailing list to receive free guides on recruitment trends, interview scripts, webinars and more.